A good quality hitch lock that completely covers the hitch and the hitch securing bolts on standard hitches will offer some deterrence against opportunist thieves but be aware the organised gangs have found ways to side step the issue of a hitch lock and therefore a wheel clamp is required by most policies as well. There are specially developed locks for proprietary hitch heads, such as those on Alko chassis, and although choice is more limited you should be able to find one that suits your requirements and is acceptable to your insurer. Make sure that you find one that is compatible with your caravan hitch. Most touring caravan insurance policies, including our own, require that you fit a hitch lock and wheel clamp when the caravan is left unattended (more security is required for higher value and twin axle caravans which are more at threat from theft). Check you policy for the specific requirements of your insurer. This article is about how to find a good value hitch lock that offers a satisfactory level of deterrence. A good place to start is the SOLD Secure website. 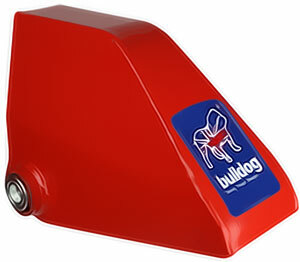 SOLD Secure is an organisation that tests and certifies security devices including caravan hitch locks. Manufacturers submit their devices to SOLD secure and they test them using the type of tools that thieves use to remove locks, including slide hammers and cutting devices. The level of approval Bronze, Silver or Gold (with Diamond for some caravan security products) indicates the length of time it took the testers to remove the hitch lock. The testers are experienced at identifying likely areas of weakness and attack those first. Alternatively go to the following web page which is part of the official UK Police flagship initiative combining the principles of ‘designing out crime’ with physical security, to see the hitch locks that they list. Any of the products listed on the SOLD Secure or Secured by Design websites are likely to be acceptable to your insurer and will certainly be acceptable to Caravanwise. Remember a hitch lock is a deterrent and will only slow down someone trying to steal your caravan but underwriters make the assumption that it will reduce the threat of your caravan being stolen. If your policy has a condition that you fit a hitch lock, in specified circumstances, or has an exclusion if you don’t fit one, and you fail to comply the insurer is likely to refuse to pay out on a claim if your caravan is stolen. The minimum for peace of mind is to know what your caravan insurance policy requires in terms of security and make sure that you do that. Go one step further and buy a tested hitch lock to give yourself an additional chance of defending against losing your pride and joy.